This is a series of interviews in which our photographers share with us some interesting aspects concerning their books. They talk about the motivation behind the projects, the process of making of the book and their personal experiences during that process. 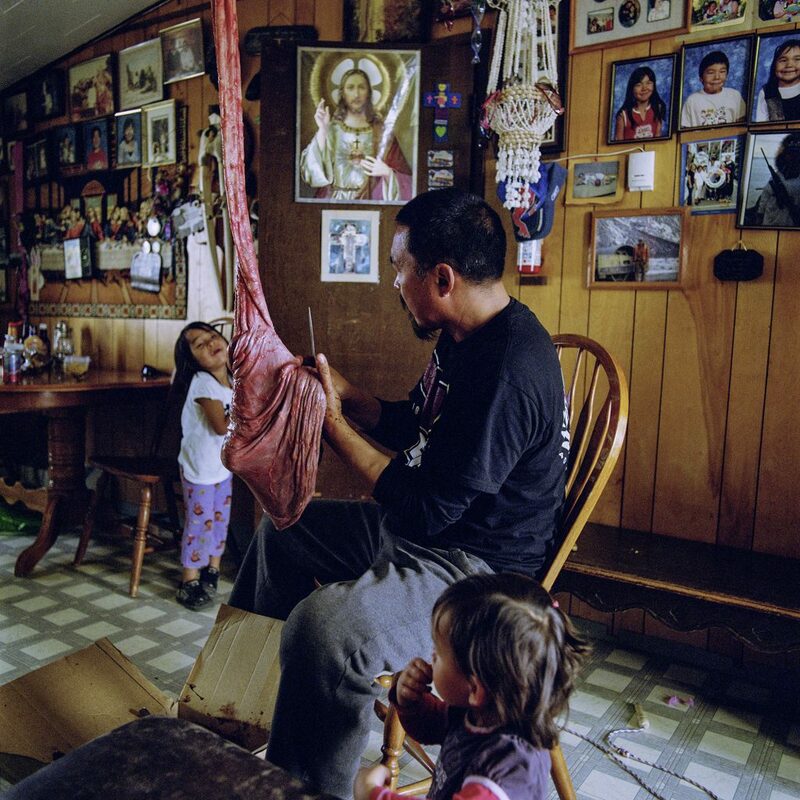 Ellis Doeven has been photographing Point Hope, an indigenous whaling community in Arctic Alaska, since 2008, when she first travelled there. The result of many years of work is her book “Maktak and Gasoline”, published in April 2018. Can you find 3 words that describe what your book is about? What was the motivation behind this project? I landed in Point Hope during a photo assignment. I made pictures for an article about possible oil drilling in the Chukchi Sea. 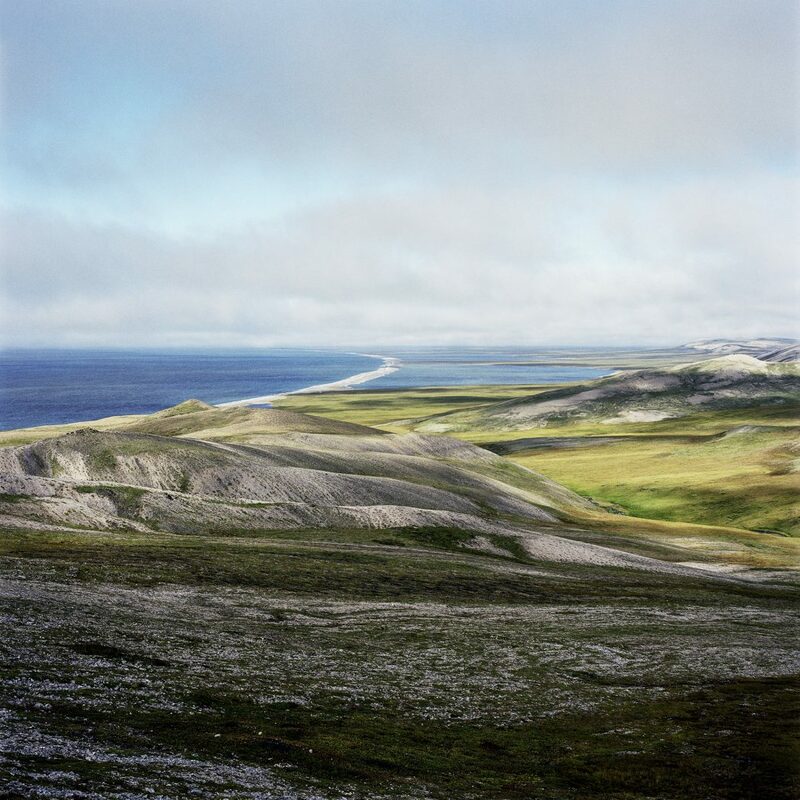 To make a long story short, I fell in love with one of the local whale hunters and we started going back and forth between Amsterdam and Point Hope, his village in the Arctic. The project just wrapped around our life. I was so immensely intrigued by life in Point Hope. I had fallen for it as I had fallen for my partner but I didn’t understand it. Photographing helped me to do that. It became a need. I had to do this and finish this, to be able to place things in my life. Why did you decide to give this project the form of a book? It needed to be visible and tangible. A sensation for both senses. And it needed to be something I could give to the people of Point Hope. What did you enjoy the most about making this book? What I enjoyed immensely in the making of the book was working together with the people that helped me make it: the graphic designer, Sybren Kuiper, the lithographer Sebastiaan Hanekroot, the printer Jos Morree and the bookbinder Wytze Fopma . Photographing in this project was, a sometimes, lonely search in trying to understand life around me; people from a culture, born to a land and lifestyle so different from mine. Not in the least, understanding my partner, who is from that area. Then you have a bunch of pictures and they have to form a book, so I could share my experiences with other people. And Sybren did that majestically. I told him my story, handed over the pictures, told him what I meant to tell with them and he designed a book. Then Sebastiaan translated my analogue pictures in digital work, Jos printed it and Wytze bound it. This book was teamwork. Made by very skilled and enthusiastic people. What do you expect the viewer to experience when they look at your book? I hope they are pulled into the community like I was. And that they feel the connectedness I feel with the Arctic, the land and especially, the people. As this is our first interview, can you introduce your work in general? 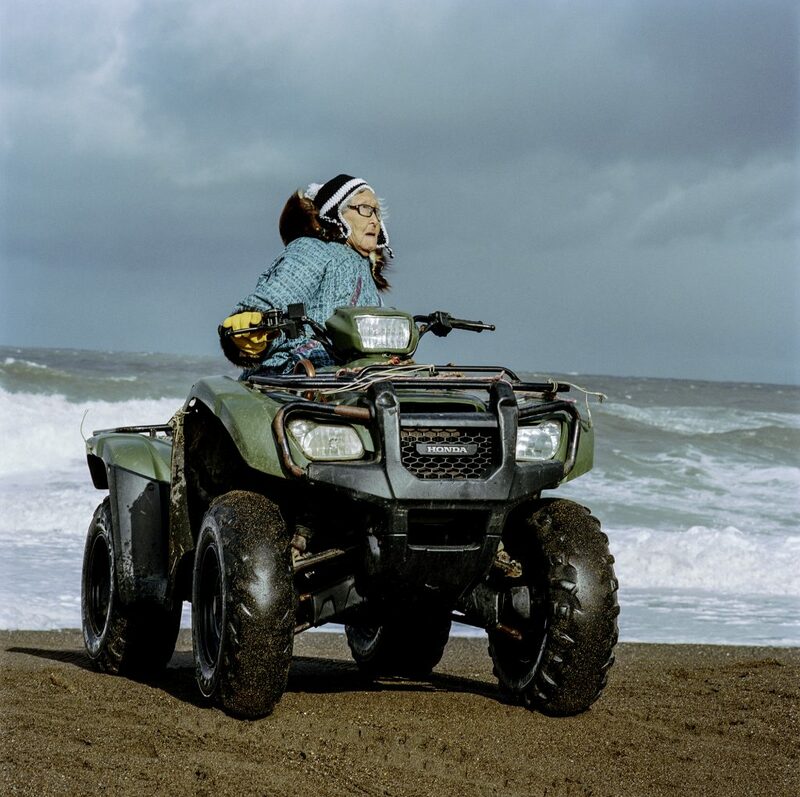 I started this project, Maktak and Gasoline while I was studying at the KABK in The Hague. It took me ten years to finish so this is the one and only project that contains my work. Abigail is in her eighties and can hardly walk. But rain or shine, every morning she crawls on her Honda and goes for a ride. She is a fast rider too. Cousins and proud boyers of the Tuzroyluk 157 Crew. 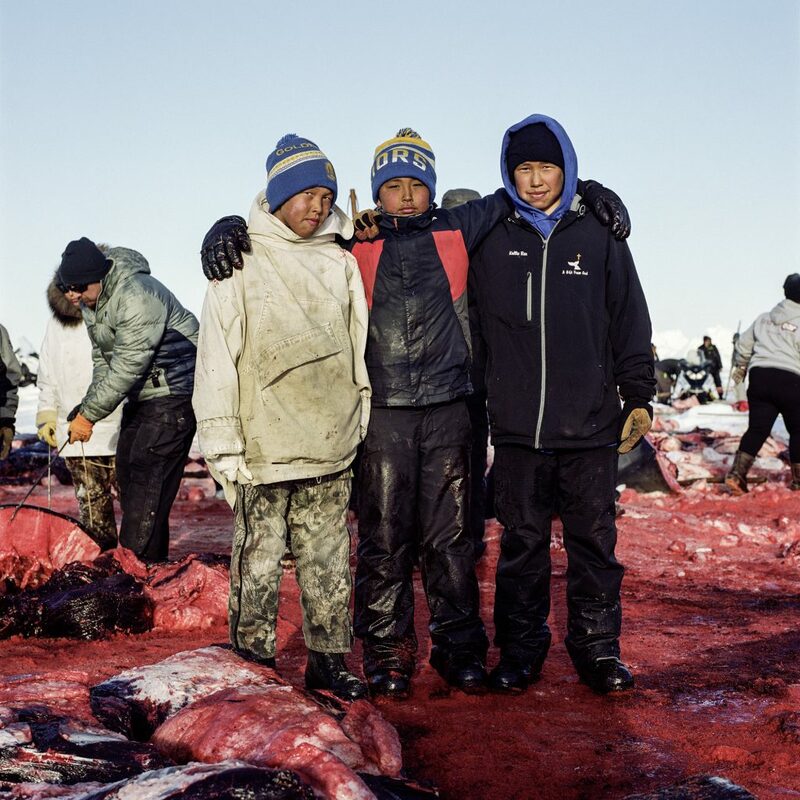 These boys spend the whole whaling season out on the ice. Waiting on the whalers, butchering the whale, helping where ever they are asked to help. They are exempted from school during whaling because their education on the ice and their assistance with feeding the people, are considered more important. Traditional drums, used for Eskimo song and dance, are made of driftwood and the stomach lining of a walrus or the liver lining of a whale. Art prepares a walrus stomach here. It is a much-appreciated skill in Point Hope. This skin took three days of preparing before it was ready to be attached it to a drum ring. As everywhere in the world, kids hang out. In Point Hope teenagers cruise town on their (or often their parents) quad or motorbike. Especially in spring, as the ice is melting and the days are getting longer, evenings are being spent endlessly circling the school, which is located in the centre of town. It takes a crew to catch a whale but a village to pull it up. It is close to midnight here. 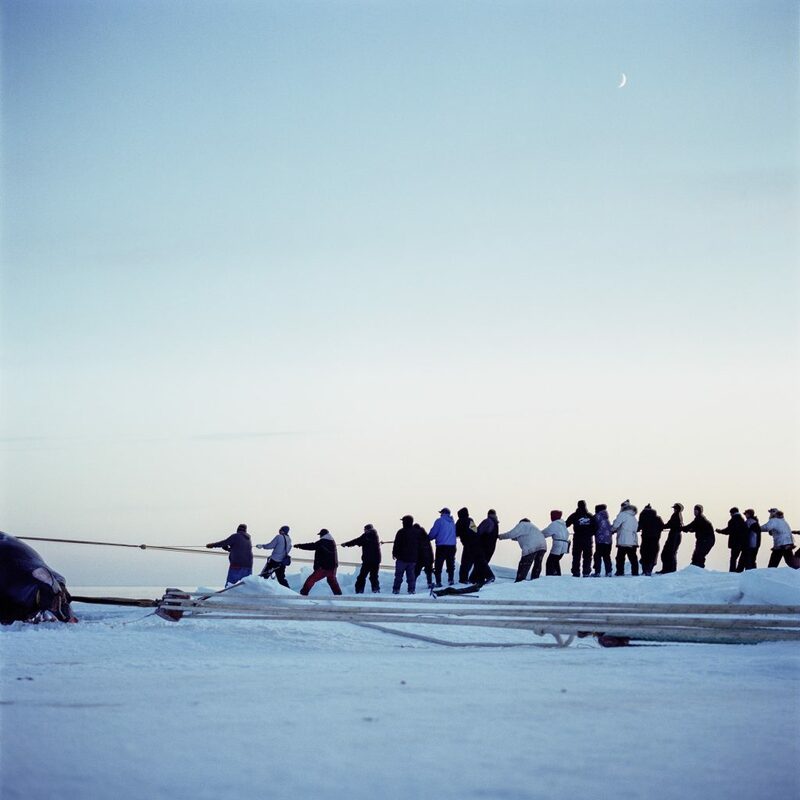 The camp of Eva and Popsy Kinneeveauk is full of tired whalers and villagers that will pull through the night to get this whale on the ice. Self Publishers United is a growing initiative of photographers in The Netherlands that have published their own photography books. The group is a non-profit informal organisation run by the photographers themselves to form a strong base for promoting and sell their beautiful art books. By creating their own platform, the photographers will have a better position to find their way on the international book markets. We believe printed photo books are an essential tool for today's photographers. Technology has acted as enabler, making it possible for today's photographers to design and showcase their work through a vast selection of designs, without being limited by publishers.